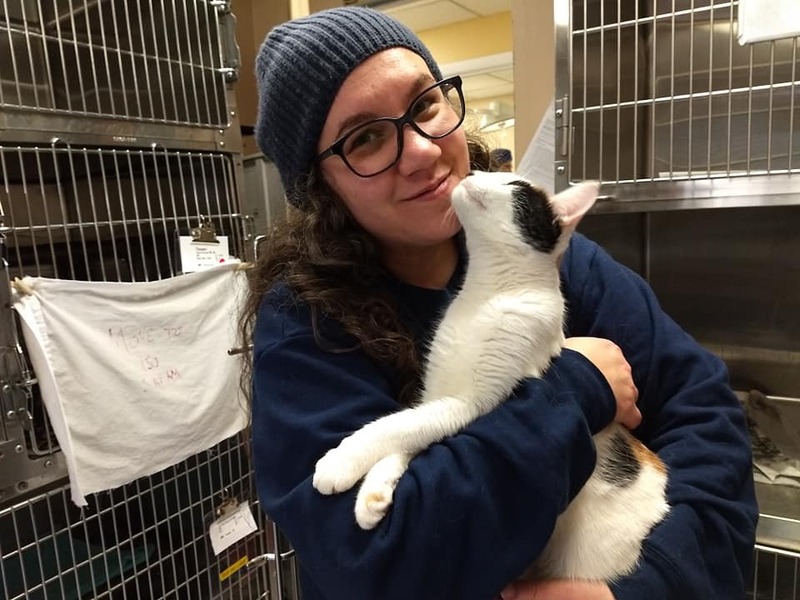 Welcome to the People for Animals volunteer program! Founded in 1980, People for Animals is an independent nonprofit organization. PFA’s mission is to prevent animal suffering through affordable essential healthcare, public policy advocacy, and community programs. We appreciate your interest in our organization and share your desire to make the world a more humane place for animals. We depend on our volunteer team, your time and your skills, to help us ensure a brighter future for animals. In addition to loving our animals we want you to help us meet our mission. By scanning documents, filing, cleaning, laundry, helping with offsite events and fundraising for our animals you can help increase our staff’s capacity to do their work. We are committed to supporting your role as a volunteer by offering you consistent, thorough, and professional training. Our volunteer training program is designed to keep you safe and to enhance your skills. As you become familiar with our volunteer opportunities, you may develop new interests. If would like to try a new program, let us know. We will be happy to sign you up for additional training and get you started! Due to insurance requirements volunteers must by 18 years old. The only exception is the Petco Union Team as long as the volunteer is accompanied by and adult who had completed PFA’s volunteer process. Clinic Team – Volunteers are needed to help the staff in our clinics EVERY DAY. Primary responsibility is helping keep the clinic clean which includes: cleaning food and water bowls, cleaning empty cages, laundry, sweeping lobby area & hallway, storing donations, filing and scanning documents. Foster Homes– Volunteers are needed to provide temporary homes for special-case animals that may be sick, too young to thrive in a kennel environment, or need to recover from an injury. Socialization and care are needed to increase the animal’s chances for successful placement. Volunteers must have the ability to isolate their fosters from pets living in the house. Petco Team (Union)– Clean, feed, and socialize the cats in the adoption kiosk 9am-11am and 6pm -8pm volunteers needed Monday through Sunday. Fundraising– Volunteers needed to help manage PFA events – Garage Sale, Craft Fair, Tricky Tray. Duties can include distributing fliers, set up, break down, collecting and sorting donation, staffing tables, traffic control, registration and more. Photography– professional photographers needed to photograph community cats, events, etc. The SpayStation Team: needs volunteers to help customers with the discharge process 2:45pm to 5:00pm in Lafayette, Vernon, and Wayne. Ambassadorship is one way to volunteer for PFA – no application required! Simply sign up to receive #PFALambassador emails by clicking below. PFA is active on several social media platforms. We’re organizing ambassadors across platforms through emails we will send to your inbox. We’ll give you the scoop on PFA’s programs and projects and highlight relevant hashtags. Though your participation takes place online, occasionally we will our ambassadors to join us at one of our outreach, fundraising, or community events. Your participation in an event is not required, we would just like to see you!! Add PFA on your favorite social media platforms. Share your stories and what you love about PFA – maybe an upcoming event, a recent Facebook post, your pet or what you’re reading, watching and listening to. Use a certain hashtag when we encourage you to do so – for instance, tell others “I am a #PFAambassador” to show your support for PFA.